Yesterday took place, in the dimly lit atmosphere of the auditorium of Les Echos, the 26th edition of the ceremony of the prestigious contest of the Entrepreneur of the Year. 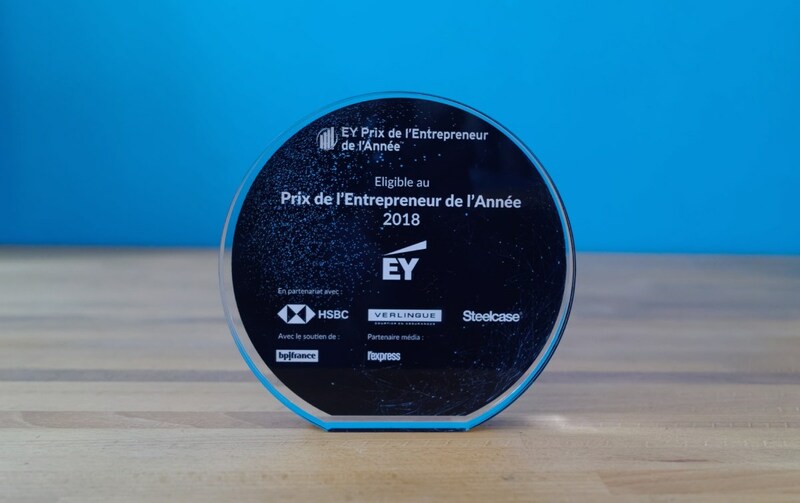 This competition, jointly organized by Ernst & Young, Express’s magazine and BPI France, highlights exceptional journeys of women and men who are driving growth and competitiveness in France. The competition was tough and the projects are all beautiful and ambitious. We have witnessed lots of growth, competitiveness, ambition, societal project, disruptive strategy, internationalization… This evening was a summary of what the French entrepreneurial ecosystem does best. The two awards were handed to Loxam, highlighting their 50 years of success starting from a small company in Brittany, and now being the number one construction equipment rental company in Europe; and Ledger, a startup founded in 2014 that develops secure wallets for cryptocurrencies. The winners as well as the selected candidates were warmly welcomed for their exceptional achievements. Kickmaker have won the prize of the Eligible Candidates as a witness of the selectivity and drastic criteria established by the juries.